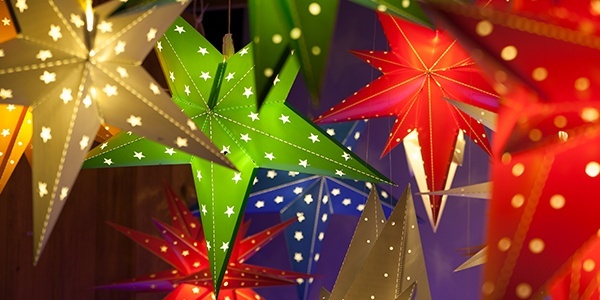 Christmas decorations around the home can make special moments remembered for a life time. 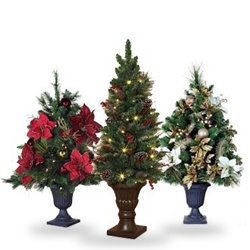 Christmas tree decorations include tree skirts, ornaments and tree toppers. 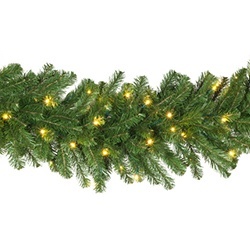 Garland and wreaths are excellent for decorating fireplace mantels, doorways and bannister railings. 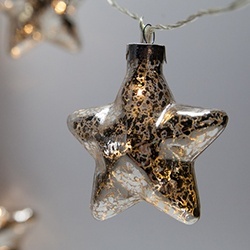 Add a little fun by hanging Christmas stockings or adding fairy lights to your Christmas greenery. 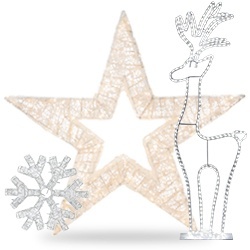 Choose from our wondrous selection of Christmas decorations including nativity sets, candles and candle holders, outdoor Christmas decorations including reindeer and topiary animals, specialty Christmas lights, and gifts like advent houses and elf wine bottle covers. 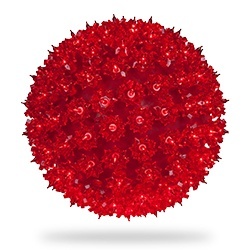 Quality Christmas greenery that decorators love starts here. 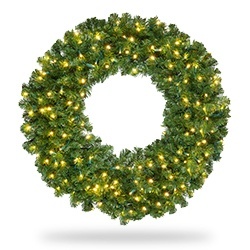 Get Christmas wreaths that look great for years and branched garland that is the perfect choice for ornamentation and Christmas floral designs. 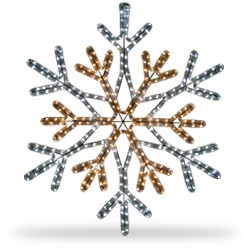 Accent your Christmas decorations with our wide selection of bows, table top trees, Christmas centerpieces and tear drop greenery that looks beautiful on wall and throughout entryways. 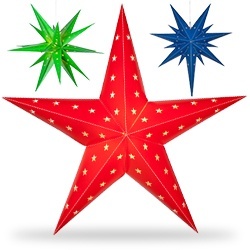 Amazing outdoor Christmas decorations start with quality lit decor like our wide variety of hanging snowflakes and stars, starlight spheres, Christmas light balls, Moravian stars and Christmas motifs. 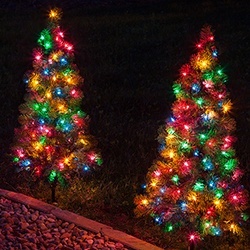 Outfit your driveway, walkways our entryways with our great selection of outdoor Christmas trees, including LED lightshow trees, mini walkway Christmas trees or our new fold-flat trees that look great and store flat! Details make a difference! 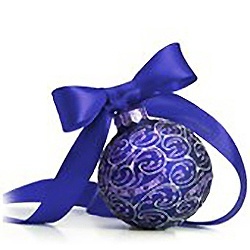 Accent your Christmas decorating with ornaments of all sizes, colors and finishes. 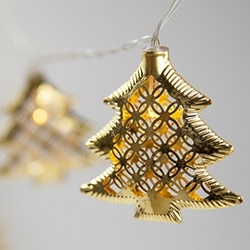 Dress your tree with the hand-make tree skirts and toppers. 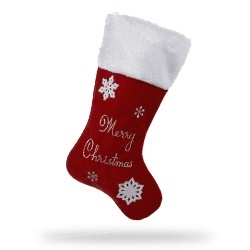 And don't forget Christmas stockings! 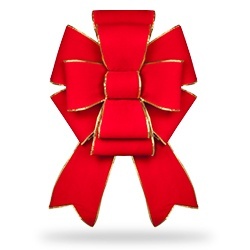 You'll love our designer collection of stockings made to match the Christmas styles everyone loves. 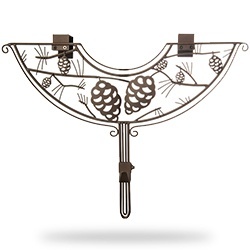 Decor items can be great gifts too. Check out our Christmas wine bottle covers and Advent story telling displays. 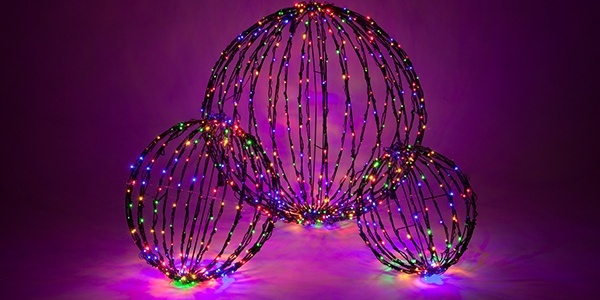 Christmas decorations come to life with lights! 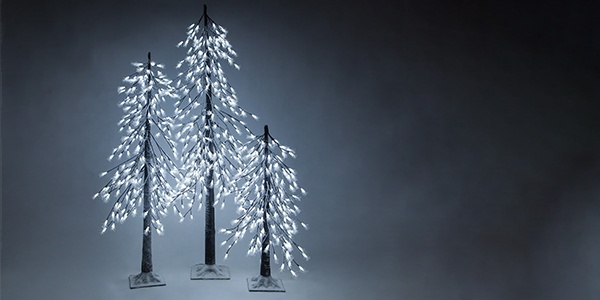 From magical fairy lights to specialty lights like LED pinecones and lighted branches, your options to make a bretataking arrangements are endless. If you like tradition with technology our LED candles are a fantastic way to elegantly add ambience without the hassle of wax candles. 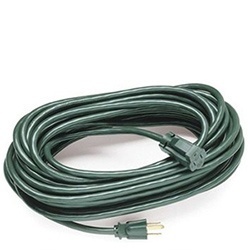 Cords and plugs making your displays unsightly? 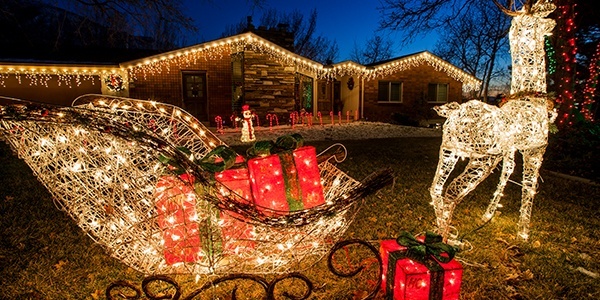 It's time to get battery-operated Christmas lights! 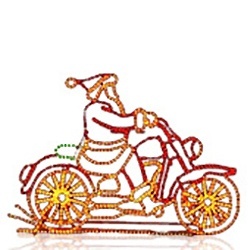 Christmas accessories make it easier to make your efforts look great. 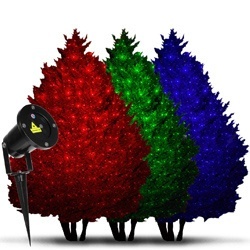 Christmas tree stands with swivel technology are a great way to spin trees while you dress them. When the holidays are over, store your trees and wreaths in purpose built Christmas tree storage bags. 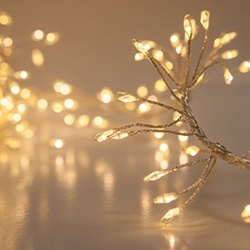 Christmas hooks, clips and hangers make decorating a cinch and our electrical adapters and extension cords give you professional options for powering up safely.